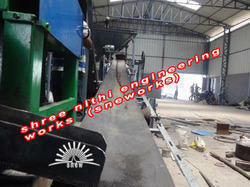 We are a well known manufacturer, supplier and exporter of Sneworks Powder Briquette Machine. Our infrastructure enables us to manufacture machines as per demands and expectations. Supreme quality raw material is used in manufacturing to ensure high performance. We are a customer centric organization and that is why we manufacture machines that are very long lasting and cost effective. These can be availed at very reasonable prices. 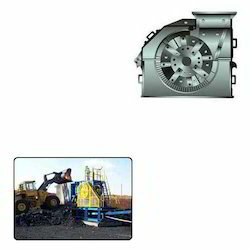 We are a highly reputed company involved in providing of the quality centric Industrial Metal Shredder. These products are durable and are also known for its fine finishing. The high tensile strength of this product enables it to last for a long time and provide the desired amount of output as well. Our skilled professionals make sure that these components which we manufacture are checked for its quality and durability. We have ensured that the price of this product is well within the reach of our clients which are also beneficial in nature. 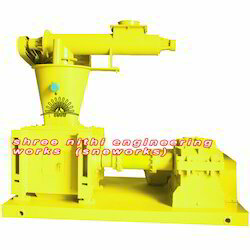 Being counted amongst the leading companies we are involved in offering an extensive range of Hydraulic Type Coal Briquetting Machine. Offered products are highly acknowledged among our clients for their reliability and abrasion resistant nature. We offer our products in market at pocket friendly prices. 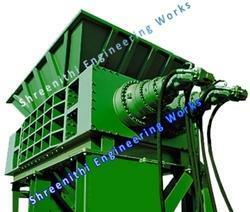 Shreenithi Engineering Works offering wide range of qualitative SNEWORKS Hydraulic Biomass Briquettes Press, these are highly appreciated among our client. 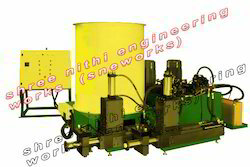 The offered machine is designed and manufactured with the assistance of high-tech technology using excellent quality components in compliance with the industry prevalent norms. Our clients can avail this machine from us at the most reasonable rates. 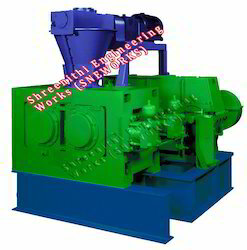 Established in year 2012, we "Shreenithi Engineering Works" is operating as a prominent manufacturer, exporter and supplier of a comprehensive array of Industrial Crusher, Conveyor and Briquette Machine. With a strong commitment towards excellence, we are highly appreciated among our client for our qualitative products. 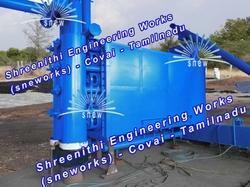 We are offering a comprehensive range of Special Purpose Machines, Industrial Feeders, Industrial Crushers. Our products are manufactured from high grade quality material, these are duly tested on various quality parameter before delivery. Our company takes great pride in assuring that the products offered by us set benchmarks in the industry for their reliability and performance. Besides, our quest for excellence and strong client centric approach has enabled us in sustaining a remarkable place in this challenging industry. To assemble our range, we use premium quality components, which we procure from certified vendors of industry. Therefore, our entire product range is acknowledged among clients for their unmatched features such as high tensile strength, easily installation, less maintenance, hassle free operations and many others. We are exporting our products globally.